Impact Hammers designed with your particular needs in mind. Versitile, durable design with efficient, low cost operation manufactured with your business goals in mind. Surestrike mechanical breakers are the simple, low cost and dependable solution for breaking materials such as oversize rock, slag, concrete and in-ground rock. 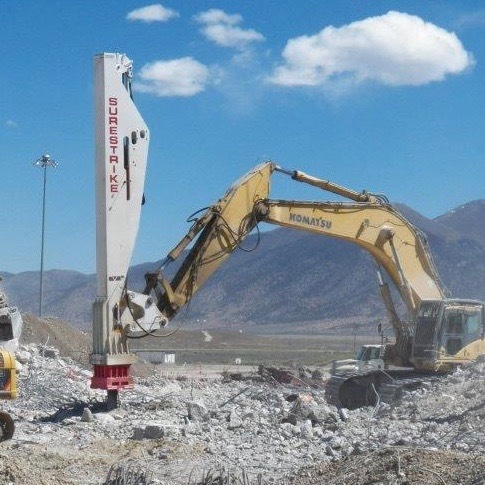 The Surestrike team of experienced industry professionals, including owners and operators, have developed a line of mechanical impact hammers that effectively break material without the use of drop balls or high frequency hydraulic hammers. 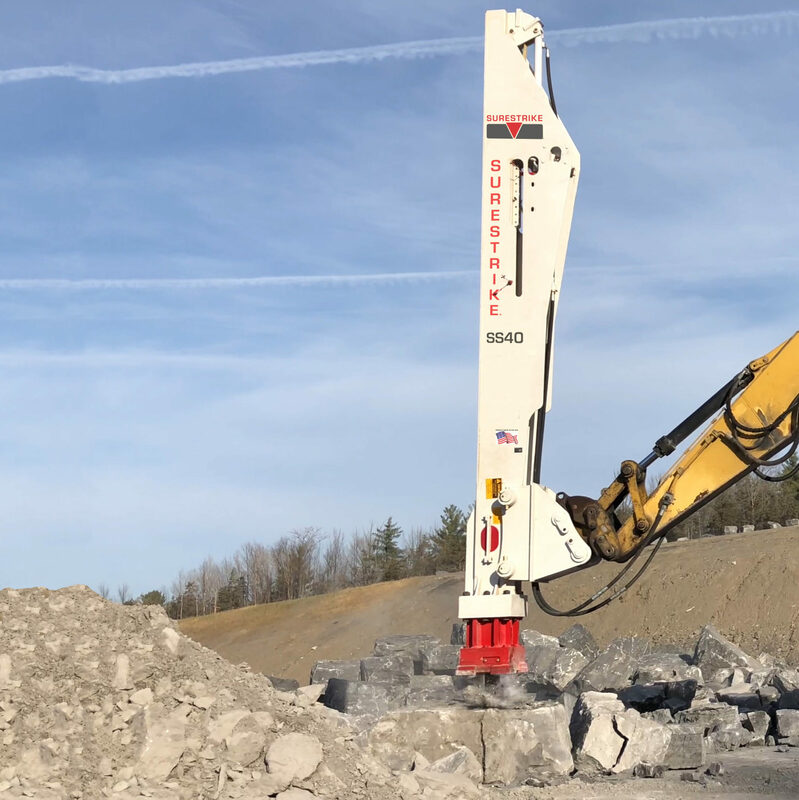 Surestrike impact breakers are have been successfully used to break the hardest rock such as granite, iron ore, basalt and field stone for over two decades. Softer rock such as gypsum and limestone are easily broken without tools becoming stuck. The Surestrike impact hammers have the power to effectively break slag and steel. Concrete is effectively demolished and the high single blow impact energy, causes the rebar or reinforcement wire to be separated from the concrete, eliminating costly secondary steps.